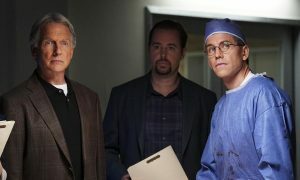 “Sight Unseen” – NCIS searches for a petty officer suspected of assault who escapes when the sheriff transporting him crashes into a lake. 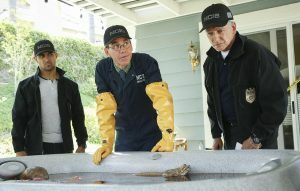 Also, Torres works closely with Annie Barth (Marilee Talkington), a key blind witness who heard vital evidence needed to solve the case, on the milestone 350th episode of NCIS, Tuesday, April 17 (8:00-9:00 PM, ET/PT) on the CBS Television Network. 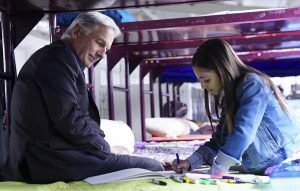 “The Numerical Limit” – Gibbs is granted protective custody of a 10-year-old orphaned refugee, Elena (Lily Rose Silver), when an NCIS case reveals she is the target of a violent gang, on NCIS, Tuesday, April 3 (8:00-9:00 PM, ET/PT) on the CBS Television Network.